Your 'Organisation' sits above your individual teams. It's a top level umbrella over all your teams to provide better oversight and control. It is also where your GDPR and compliance-related features are located. You can access this section by clicking the icon in the top navigation. It has its own site, with its own users and access permissions. If you are a group creator then you get access. 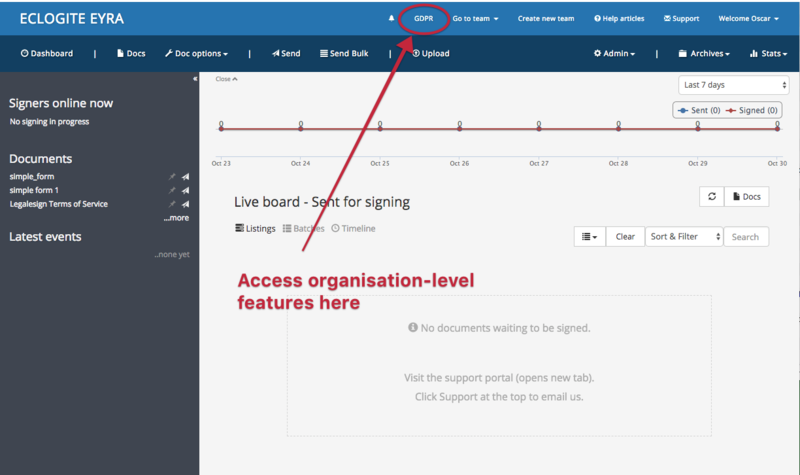 After that you need to bring in team members if you want them to access your organisation-level features. A teams network is another handy management feature to wire together your teams for oversight or document sharing. 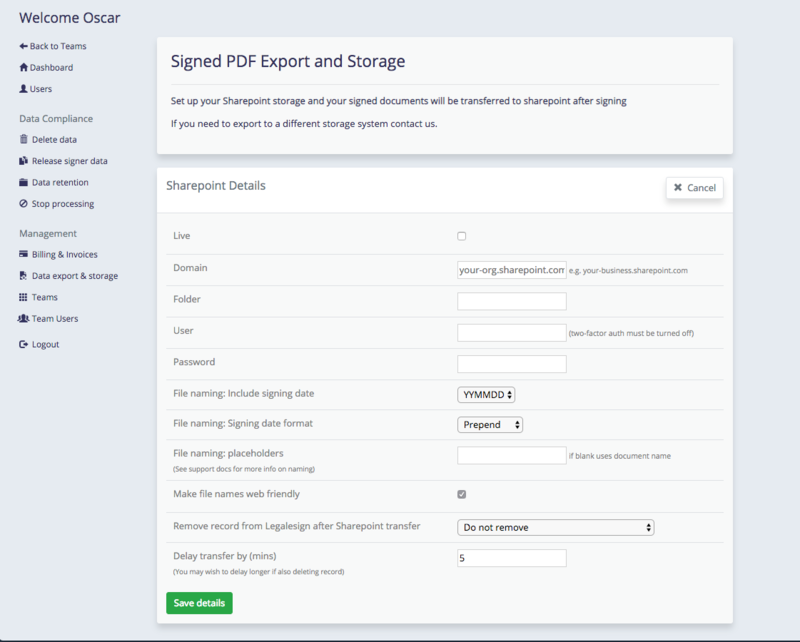 The features in the organisation section are being increased all the time, but at the time of writing it includes all the GDPR features (control your data retention, easily deliver data subject access requests, and ensure a requirement to stop-processing someone is enforced throughout your organisation) and a data export system so you can store your documents in Sharepoint, and it provides some visibility over your teams and users. We have lots of plans for this section, but the order we do them will be driven by customer requests, so if you have any feature requests please get in touch.